Ripple price prediction 2019 from TradingView experts – what are they afraid of? Being the second largest cryptocurrency by market cap after Bitcoin, Ripple continues making waves. Even though it has managed to survive through the crypto winter that seems to last forever, XRP is also prone to price fluctuations. 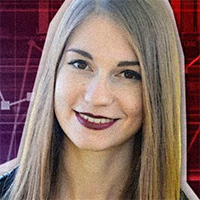 Crypto pundits argue about Ripple price predictions 2019, and amateur crypto analysts from tradingview.com have their own opinion. Here’s what they think about Ripple price 2019. Ripple is going through a pump and dump period, so it’s in the danger zone. In the short run, it means we shouldn’t expect the XRP price to rise considerably. This user proposed the idea that if Ripple stays on the level above $0.299, we should expect it to target the $0.324 level. $0.299 is the support threshold. This is exactly what happened at the end of January, and the pattern can repeat. The analyst from the Netherlands says his bullish views are getting fragile. On January 31st, Ripple made a good rally with several waves pumping its value. But since Bitcoin dropped by 50 points, it affected XRP and decreased the rally by 50%. Although it is still above the support line, such changes are suspicious – there’s a big chance of a break. Litecoin followed the same path: it got into a bear trap before going through the bull period. Thus, Botje11 thinks that Ripple will stay at $0.3 level. This user makes a series of videos about Ripple’s transition from the bear market to the bull market. Recently, SWIFT announced working with R3, the technology that will provide world companies with a smart contract technology for money transfers. This event promises to trigger Ripple growth. According to Tradeformula, Ripple can make the shift from $7 to $20 this year, which sounds unrealistic – other users comment that even $1 would be a great achievement for 2019. Watch for the strong breakup and look for buying opportunities. Let the price test the previous bottom or let it form new low then look for buy from the new low. No doubt, Ripple has a huge potential considering the huge number of corporate investors and companies willing to exploit its technology. However, the market is still under the bears’ grip, so it’s not clear when Ripple will overcome the $0.34 threshold and even double its value.